The temperatures are starting to cool down and Fall is the perfect time to get outdoors with your kids. Thankfully, Step2 has a brand new ride-on that will help them explore the outdoors in comfort and style! We're thrilled to introduce you to the new Whisper Ride Cruiser! Thrifty Nifty Mommy's daughter loves the new Whisper Ride Cruiser (as you can see below), and we think your little one will too! 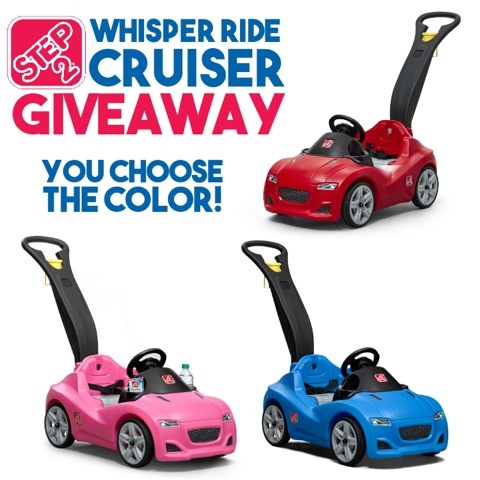 Information about the Whisper Ride Cruiser from Step2: Children will have a blast strolling around town in the sleek and stylish Step2 Whisper Ride Cruiser! This kid’s ride-on features a realistic body style that matches today’s supercars, including life-like decals and interactive features. Little ones will enjoy their ride while pretending to drive around with the movable steering wheel and working horn. 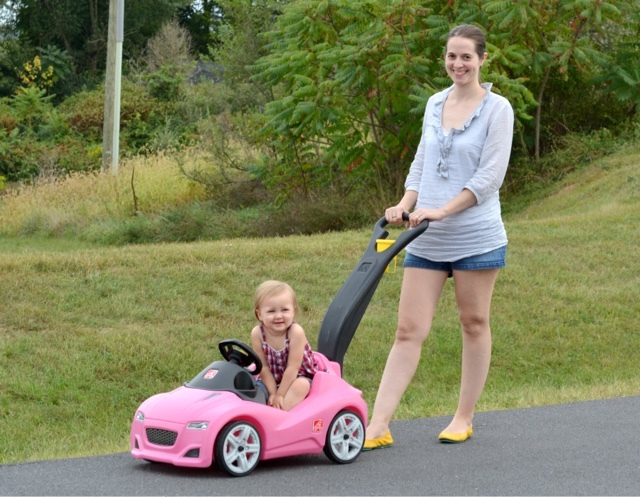 This toddler ride-on will provide your kiddo with a roomy stroll around the neighborhood, park, or zoo! Made in USA of US and imported parts. Available in blue or pink on the Step2 website, or red available exclusively at Toys 'R' Us. Open to the continental US only, ages 18 and up. Ends 10/5/16 at 11:59 PM EST. Enter using the Giveaway Tools form below. Good Luck!